Quality control samples like this would be sent back to Kenner from their vendors in the Orient so that they could be reviewed by the toy company. An engineer in charge of the line would typically have to sign off on the product, as well as make suggestions for improving it. This, of course, is Chewbacca. 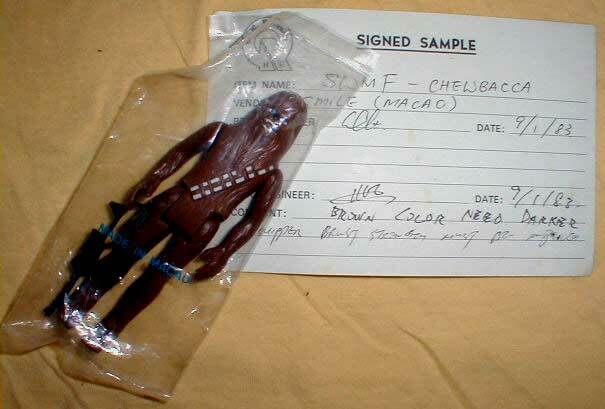 The note mentions that the brown color of the plastic needs to be darker. But it looks like any other Chewbacca figure. Somtimes I think these guys asked for changes just because they figured it was their job to do so.